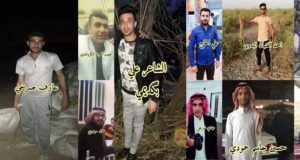 surrounding areas in west of Ahwaz capital about the decision to confiscating their land officially as part of the projects of named as «Juffair agriculture» and «facility for refining liquefied gas and oil» and distributing them to the relatives of Revolutionary Guards officers killed during the Iran-Iraq war. According to the reports that «Jihad Nasr» Foundation, an affiliate of the Revolutionary Guards institution and working in the field of construction, informed Ahwazi agricultural land’s owners in Juffair about the decision of confiscating agricultural land which amounts to 40 thousand hectares. The source added that land had been confiscated under the framework of «Juffair agriculture» project that began its preliminary study in March 17, 1997 and under the supervision of the Department of Agriculture and after the work took up to 13-year-old, the supervision of implementation of this project transfered to the Water and Electricity Department in north of Al-Ahwaz. The source explained that the confiscated lands were awarded to three thousand settlers during the years 1994 -1997 through the Persian cooperative companies where the Iranian regime is considered these lands as «pure property» which meansthe lands belonging to the Iranian state. 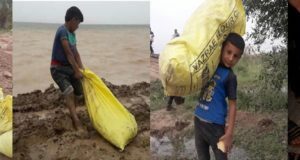 In the similar context the Iranian Oil Company in cooperation with the «Khatam-o-Alanbya Foundation» One of the Revolutionary Guard’s economic institutions, confiscated 80 thousand hectares of agricultural lands Juffair area in the west of Ahwaz capital under the pretext of drilling for oil and gas. Reliable source stated that the confiscated lands been taken over in 2001 under the framework of a drilling and exploration oil and gas project where later the Ahwazi people understand it is more than a process of exploration after the Iranian athorities announced its intention to build industrial facilities and plant for the production of electrical energy as well as the creation of thousands of settlement units and delivering them to the Revolutionary Guards employees and their families. The confiscated lands are located in Juffair area, west of Ahwaz capital, on both sides of the road between the Ahwaz capital and the city of Mohammareh where the ownership of the lands back to the people of Bani Malik and Tamim tribes. 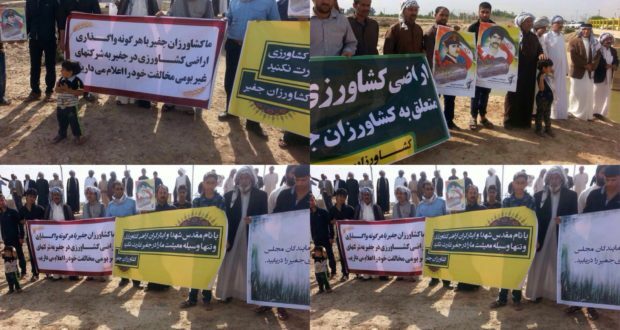 Its worth to mention that the Ahwazi Arab farmers has demonstrated against their land confiscation on 11 March 2016 in Juffair area and on Friday the 25th August 2016 in front of the headquarters of the sugar Sugar cane refinery firm, the Amir Kabir Company, between the Ahwaz capital and Mohammareh. Ahwazi Centre for Human Rights (ACHR) has spoken with an Ahwazi farmer from Howyezeh city who whish not to be named for security reasons where the farmer said that the Iranian officials during the creation of Irrigation channel, has brought white (A4) paper and the authorities got our signing under pretext that show our agreement to that channels, but after we realized that the paper were field in such way that farmers applied to a loan cost (5 Iranian Billion Rials) and the Ahwazi Arab can not do any thing with their agricultural land document as its been seized by Iranian authorities. While the Ahwazi Arab farming land affected by the artificial floods, the Iranian authorities refrain from the compensation payment to those farmers since April 2016. The sources added that doubts began to inspire Ahwazi Arabs when they did not receive any type of financial support towards the damages caused by flood where Iranian authorities procrastinating in answer to their complaints and claims since six months ago. Although the Ahwazi Arab farmers are paying insurance towards their agricultural crops each year in case any damage happens, insurance will pay back some money to farmers but since six months they did not receive any financial support from insurance company. 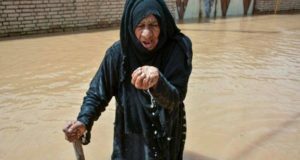 The artificial flood disaster caused damage to more than 411 thousand hectares of agricultural lands and 1,600 residential units as well as the destruction of roads in some counties and villages such as Ramez, Susa, Tester, Salhiyeh and Qoniatereh. Losses caused by this disaster, according to official statistics, is 2300 billion Tomans ($ 658 million).